“It’s important to guide them (millennials) to make them excited for the potential of working in your company”, says Xavier, explaining how to get the Millenial workforce excited about working in GoWork. In Future Commerce, 2 of our Co-founders, Xavier Chang and Vanessa Li (GoWork’s CEO) delivered their wisdom on both the potential of Millennials and women representation in corporate leadership roles. “To be able to attract them (millennials), we have to be able to understand their interest, and always be one step ahead in the curve (of modern hiring trends). Conforming to traditional ways of recruitment won’t work on these enterprising and quick minds,” explained Xavier, when asked about how to attract the millennial workforce into joining GoWork’s team. 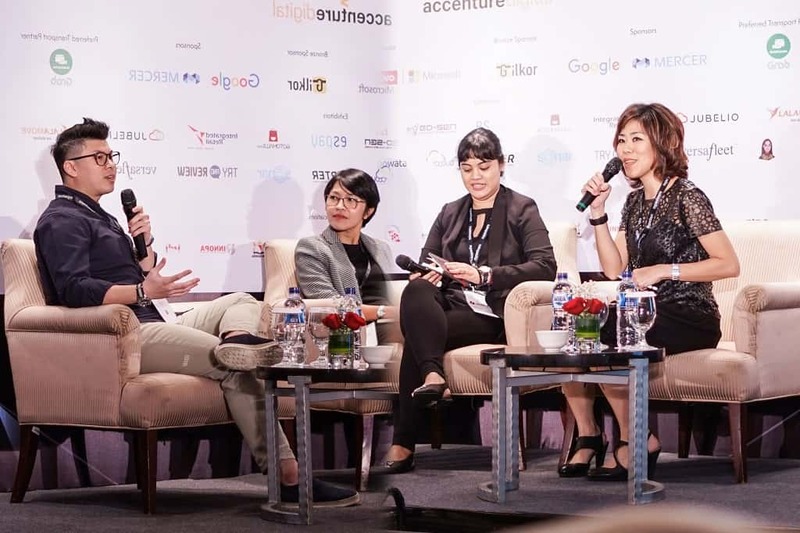 Vanessa moderated a discussion between 2 powerful women: Ayu Razumova, CMO of Gramedia Digital Nusantara, and Erricha Insan Pratisi, president of INNOPA. Vanessa concluded the discussion by saying that there is a need for women to be more fearless so that all of them can break from the conformity of the highly male-centric corporate structure of Indonesia.